In the great spirit of peace making, the World Peace Foundation continues to move forward. 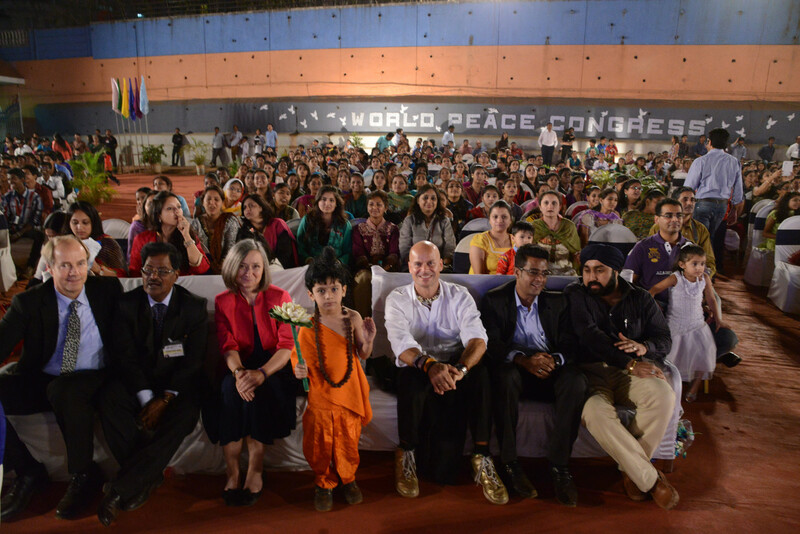 10 000 of the brightest and most talented students from around the world and over ten countries came together in Mumbai, India, in 2013. The events, conferences, and activities lasted for several days and saw major Bollywood stars, members of the Mumbai chamber of Commerce and members of Indian Parliament take part along with our young global peace ambassadors. When we called for students to join us in a peace march throughout Mumbai, nearly 10 000 followed our call! Students from all over the world had been preparing for this event through various educational initiatives at their schools: essays, projects, seminars, workshops, research, film contributions, speeches, and cultural initiatives.